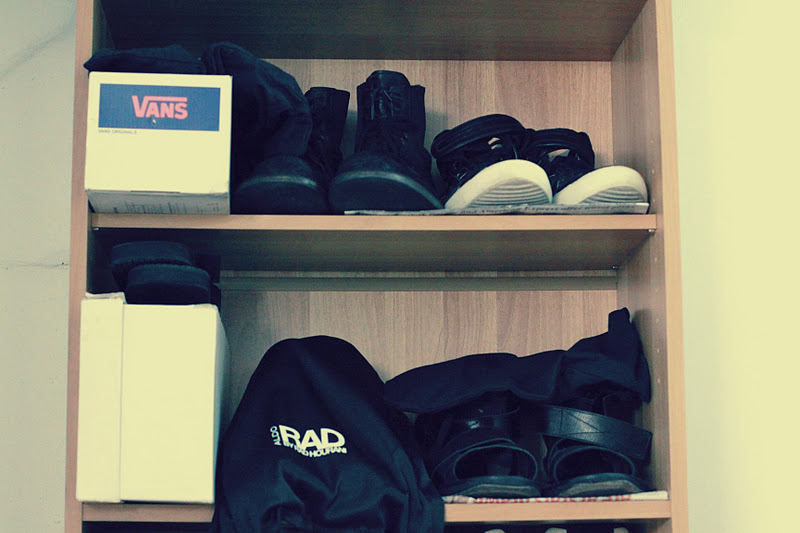 This is where I keep all the things that make my feet happy. When I was still living in San Francisco I used to shop for shoes all the time. Blame it on my coincidental BART train stop at Powell. Before heading to my yoga class I would do a quick pit stop at Barneys and kiss my problems away for a new pair of shoes. Just a pair a week keeps insanity away! Things have changed now. I'm more selective and way more practical. I would have to contemplate on the item first before actually purchasing it. The price obviously has to justify the number of times I would be able to wear it. Also, I never compromise the quality of the shoes that I buy. I'd rather have 2 or 3 pairs of well-made shoes than to have a closet full of disposable poorly constructed shoes. Thank goodness for vintage boutiques where you can find nice shoes without breaking the bank. Although I have to admit vintage shopping requires a lot of patience and TIME. Too bad I haven't found much luck with vintage shopping. Nowadays, I do most of my shoe shopping whenever I'm on vacation somewhere. Aside from better selection, I also get to avail of tax refund. This way I wouldn't feel guilty if ever I end up pulling the trigger. The shoes that you wear somewhat reflect the kind of person you are. Indeed, you can tell the personality of someone by just looking at the shoes. This is why I don't randomly wear shoes. I pride in whatever I put on my feet. Be it a pair of sleek black YSL Jonnys or my forever reliable Chucks. 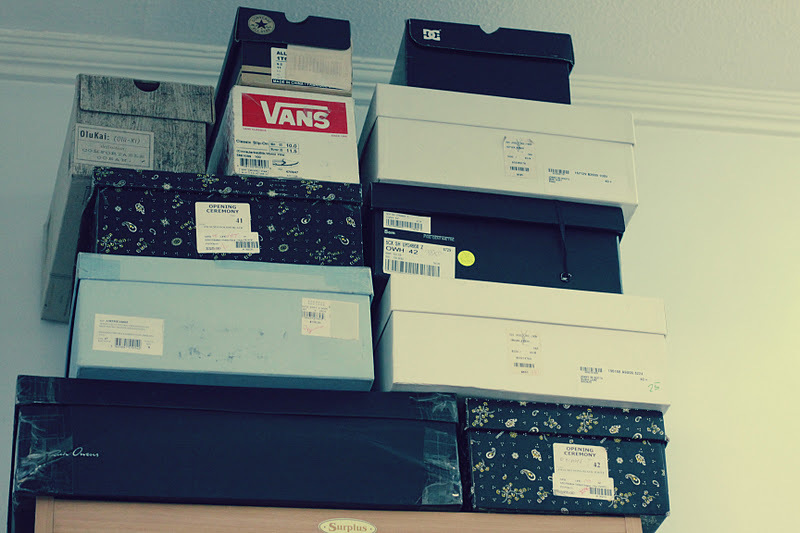 I will be selling 10 pairs of mostly new shoes at the upcoming Blogger's Bazaar! 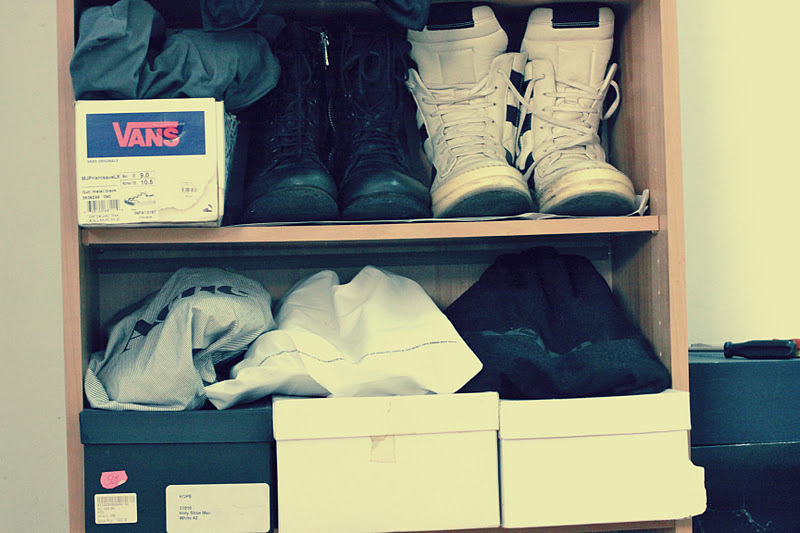 Marc Jacobs, Vans, Converse, Comme Des Garcons, Lanvin, Underground, etc. Also, there are coupons always available for shoes. So start pinching your pennies guys! 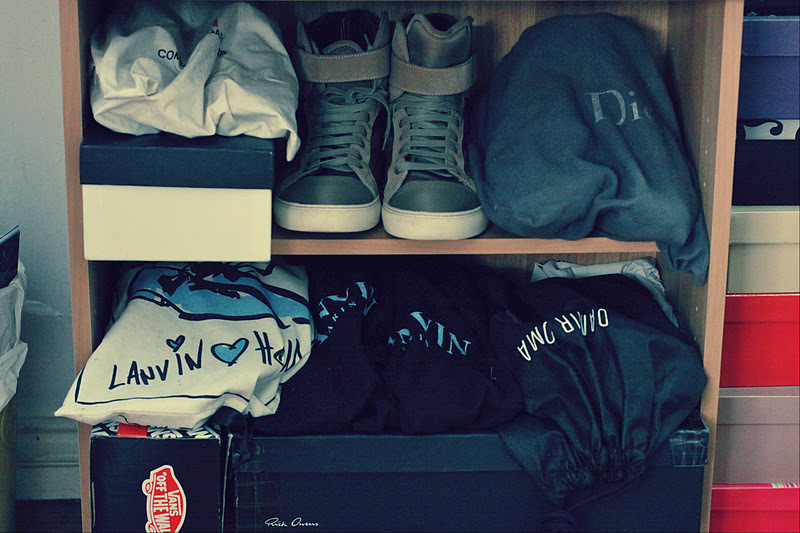 you also keep your shoes in their boxes like me!! !hahahaha I love shoes! and i will not stop getting fab shoes!